There is cheese, of course; in particular a goat cheese with its own appellation – Crottin de Chavignol. Goats once roamed the hills, weaving in and out of the vines. But these days they are banished to less costly land, and richer pastures. Head to Gilles Dubois’ first-floor tasting room in Chavignol overlooking Sancerre’s steepest vineyard, Les Monts Damnés. The fourth-generation affineur sells 3m crottins a year, made from milk from more than 25 producers. He ages his cheese for between 10 days and eight months and likes it best when it’s blue, he tells us, offering a sliver of five-month-old cheese that smells of ammonia. 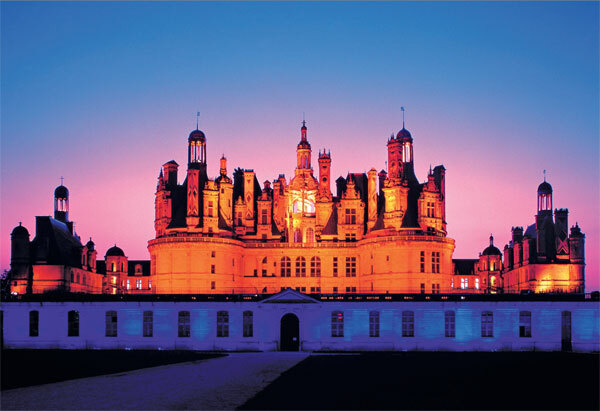 It’s a two-hour drive through the quiet forests and wildflower meadows of Sologne to Cheverny and its famous château. It inspired Hergé, the creator of Tintin, when he created Marlingspike Hall (don’t miss the on-site Tintin exhibition), and the village also has a high-tech Maison des Vins. Further up the river you’ll find Vouvray. The Chenin Blancs from here have a lifespan of 10 years or more. It’s a chameleon grape, but nowhere does it scale such heights as here. 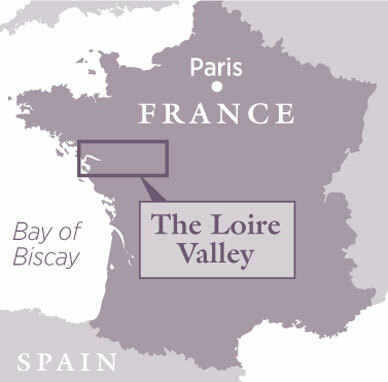 It makes dry whites, medium whites, sparkling whites and sweet whites, all aged in cellars dug deep into the limestone hills. We carry on to Chinon, which sits near the tip of a triangle formed by the confluence of the Loire and the Vienne. The ruins of a medieval castle look down over the tree-lined quay, the battlements offering visitors a glimpse of Chinon’s vineyards.